The interesting image we always reflect on during the liturgical season of Lent is the “desert”. We meditate on the Temptation of Jesus in the Desert (Matthew 4:1-11). We fast from things we love. We give to the poor. We confess our faults. We reflect in a somber mood on the Crucifixion of Jesus. In a way, we put ourselves in Jesus’s shoes by going to the desert. However, the beautiful thing about Lent is that it is not us who join Jesus in the Desert, but He who joins us. He comes to us in our struggles and pains. 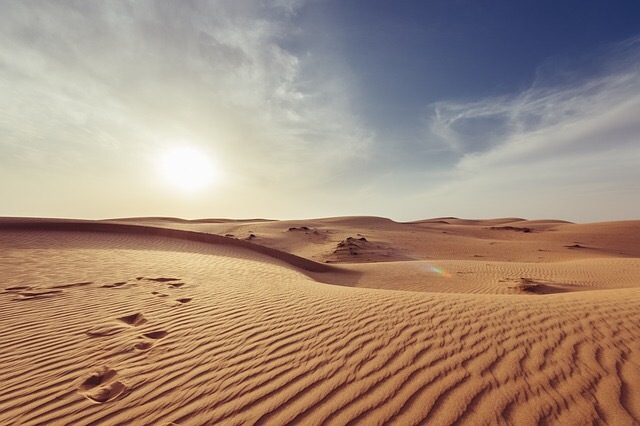 There are times in our life where we feel alone in the desert, but the Church gives us forty days of Lent to remind us that we are never alone in our struggles. Jesus is there waiting for us to notice Him. Jesus was abandoned and alone on the Cross. We are never alone on the Cross. He is with us. We are never more loved than when we are on the Cross.